Would you like Georgia Bruce as your mentor to help guide you with training your horse? Would you like access to over 120 step by step clicker training videos? 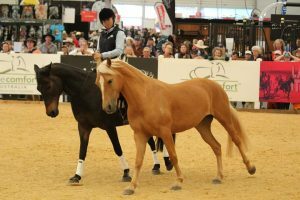 covering groundwork, handling, desensitizing, liberty, tricks, float and trailer loading, starting the young horse under saddle through to advanced dressage and riding performance? With more videos added every week! Would you like access to download all the books and text by Georgia Bruce? 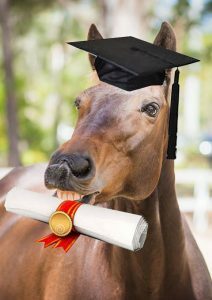 Including the theory of how horses learn, the science of training, how clicker training works and how to apply it for groundwork, riding, liberty, tricks and problem solving? This also includes Georgia’s sold out book “How to Click with Your Horse” and her book “How to Teach your horse Tricks”. 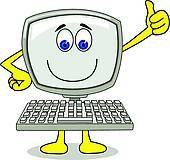 Would you like to join a supportive online community with other friendly clicker trainers? Send training videos, ask questions, get feedback, feel connected and supported in your journey with your horse. Face to face real time video chats with Georgia Bruce to review your progress and create a perfect training plan for your horse. Watch exclusive live streaming clicker training sessions with Georgia Bruce and a variety of horses. 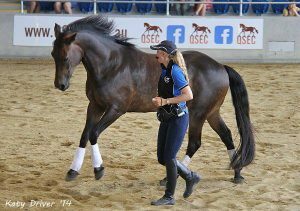 Build a strong positive relationship with your horse and achieve your goals. Numbers are strictly limited in this course so that Georgia can provide each person with one on one coaching. The ONLINE COURSE REGISTRATION FOR 2019 is currently OPEN…please contact us now for more info and to secure your spot.